The revival of green turtles from the brink of extinction in the Cayman Islands is largely due to a project led by the Cayman Turtle Farm, now known as the Cayman Turtle Centre, to reintroduce captive hatchlings into the wild, a new study shows. Researchers analyzed DNA samples from farm turtles and from wild sea turtles nesting on the island’s beaches in a six-year study. They found that 90 percent of the wild green turtles had a direct family link to farmed turtles. That means the bulk of those turtles were released by the farm in infancy and have now reached adulthood and returned home to nest. The farm, which brought its founder stock from genetically diverse turtle populations in Costa Rica, Suriname, Guyana, Ascension Island, Mexico and Nicaragua, breeds turtles primarily for food. An analysis of the findings shows that 12 percent of the wild turtles sampled were direct offspring of turtles at the farm, 11 percent were siblings and 57 percent were half-siblings. Only ten percent were not related to turtles at the farm. The report, funded by the U.K.’s Darwin Initiative and produced by University of Barcelona in collaboration with the Department of Environment, the University of Exeter, the Cayman Turtle Centre and others, concludes that those releases, combined with conservation and protection efforts, including changes in fisheries legislation, succeeded in re-establishing the green turtle species in the Cayman Islands. The DoE has been monitoring turtle nests on all three islands since the late 90s. In that time, the amount of nests has grown from a handful in the early years to more than 200 a year. Green turtles lay multiple nests in a breeding season but do not breed every year, so the number of nests does not correlate exactly to the number of turtles. Dr. Janice Blumenthal, a research officer with the DoE and one of the authors of the study, said green turtles were functionally extinct in the Cayman Islands at the end of the 20th century because of overexploitation. She said the research showed the island’s nesting green turtle population was currently around 150 – still relatively low. 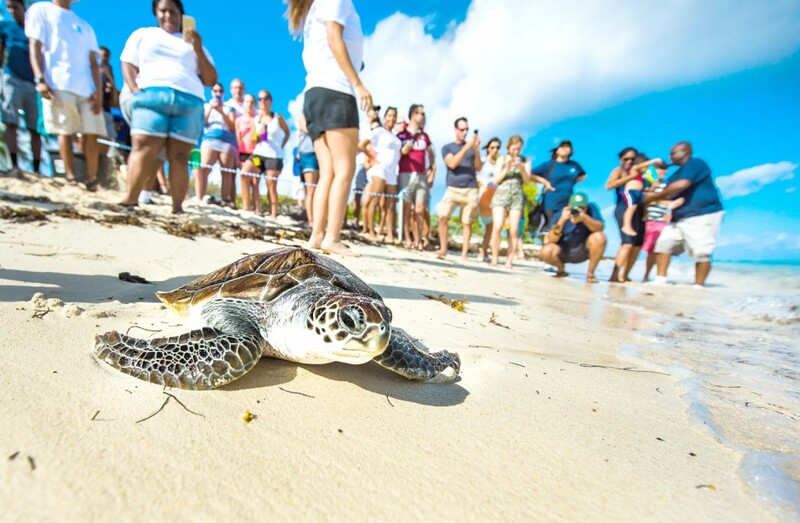 Gina Ebanks-Petrie, director of the DoE, said changes in legislation to prevent fishing of sea turtles had also helped replenish wild turtles around the Cayman Islands. She said loggerhead turtles, which are not bred at the farm, had also seen a revival. Though the farm’s releases in the 80s and 90s appear to have been successful, Ms. Ebanks-Petrie cautioned that the continued, unchecked release of hatchlings into the wild carried risks as well as potential rewards. She said the DoE was working to get the farm to have their health and welfare screening protocols independently vetted to ensure any turtles released into the wild did not introduce new diseases or otherwise harm wild Caribbean sea turtles. “That is a big sticking point for us with the current release program,” she added. The question of whether releases are needed in the future and how they should be monitored and managed still lingers. DoE deputy director Tim Austin said it was possible that the population had reached the stage where it could be considered self-sustaining. He said green turtle nests were producing an average of around 20,000 hatchlings a year, which, with proper monitoring and management, could help continue to replenish wild stocks without the need and expense for more releases of captive turtles. But it also released more than 30,000 hatchlings and yearlings between 1980 and 2001 in an effort to replenish wild populations.